Drive collaboration and transform data and AI into a trusted enterprise asset through dynamic data policies and enforcement. IBM Watson Knowledge Catalog powers intelligent, self-service discovery of data, models and more, activating them for artificial intelligence, machine learning and deep learning. Access, curate, categorize and share data, knowledge assets and their relationships, wherever they reside. This video provides you with an overview and the benefits of IBM Watson Knowledge Catalog. 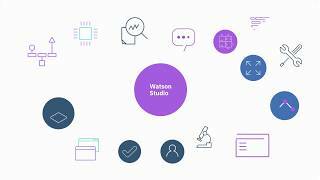 In this video, learn how to quickly and easily create a Watson Knowledge Catalog in a few easy steps. In this video, learn how to discover and add assets to a Knowledge Catalog using the various methods provided. In this video, learn about the active policy management and enforcement capabilities of the Knowledge Catalog to protect and control access to cataloged assets. Publish a business term that defines the business meaning of Sensitive Information. Publish a data governance policy that defines the business and regulatory compliance requirements for protecting and consuming Sensitive Information. Create a data governance rule that enforces the data protection methods defined by the Sensitive Information data governance policy. Classify data assets containing Sensitive Information to characterize them to the active policy manager as data governance candidates. Verify that the lineage established between business terms, policies and rules work as designed. Review the data policy activities and statistics that provide insight into the effectiveness and enforcement of active policy management.